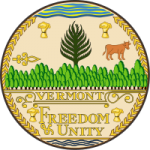 The State of Vermont’s laws provide the Office of Child Support with its authority to administer the state’s child support program. The laws set forth the conditions upon which child support can be ordered and the enforcement mechanisms that can be utilized in order to ensure that the child support is paid when it is due. In addition to Vermont statutes, the Office of Child support is authorized under federal statutes to seek parents across state lines who have failed to meet their child support obligation in Vermont.